Inspired by something his mum used to make, Mr Moroni cooked a batch of caramel-coated nuts to hand out at a university guild day, with partner Marie Mapp bagging the delicious goods. 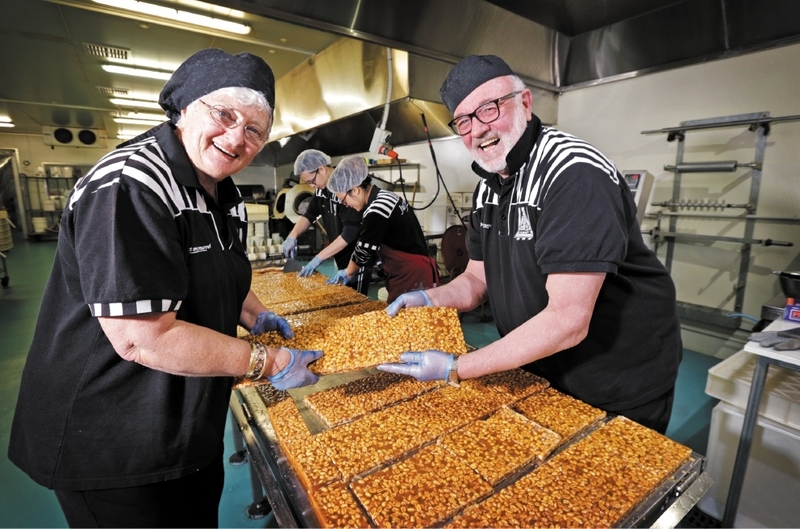 They were so positively received that the duo are now celebrating the 21st anniversary of their Herne Hill-based business Morish Nuts. Mr Moroni had to give up his studies to concentrate on the burgeoning business, which started with a stall at Fremantle Markets that still operates today. He said his secret to success was providing free samples, something other businesses at the time did not do. �Inevitably once you have tasted it, seven out of eight times you�ll want to buy it,� he said. A major coup came when Virgin Australia included Morish Nuts on its in-flight menu more than a decade ago. Feedback from passengers also encouraged them to create a savoury version. The original caramel-coated nuts remain a staple and though Mr Moroni said they had experienced �a few major flops�, Morish Nuts now offered more than 20 different flavours. �We�re constantly innovating, it is probably what keeps us on our toes,� he said. �The quality of product coupled with the way it is designed and delivered is what sets us apart. Morish Nuts factory and retail outlet opened in Herne Hill in 2013, which Mr Moroni said was a great way to connect with customers. Being a part of the Swan Valley region was ideal for their business as well. �It�s like wine tasting � you can buy wine at the bottle shop but it always tastes better when you go to the cellar door and you can talk to the winemakers,� he said. Though success came unexpectedly, Mr Moroni said it had been an enjoyable journey and he and Ms Mapp made a good team. �I was happy to make the nuts but someone had to tie the ribbons on the bags,� he said.